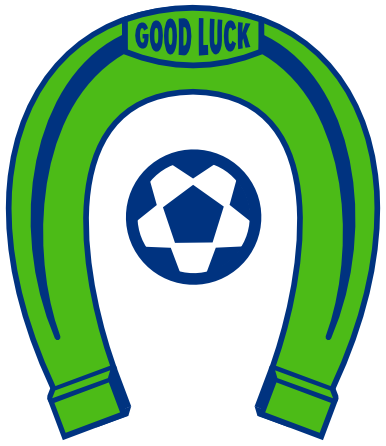 OLYMPIA, Wash. – The Oly Town Artesians (0-0-1, 1 point) recorded many firsts in their opener on Sunday afternoon. First Evergreen Premier League game in Olympia, first EPLWA point, first league goal. But they have not yet picked up that first EPLWA win, and will look to make club history this Sunday when they play host to Bellingham United (0-1-0, 0 points). 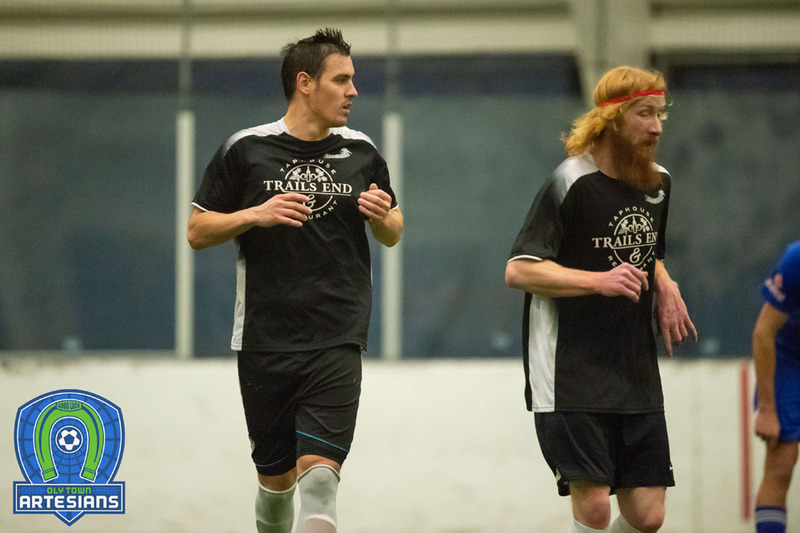 It is the first outdoor soccer meeting between these two familiar foes of the indoor soccer circuit. First kick is set for 2:00 PM at South Sound Stadium. The Artesians are coming off a 1-1 draw in their debut in the EPLWA. Olympia native and Whitworth grad JT Meyer found himself some space and buried a low roller past the Yakima United keeper to even the score up in the 74th minute. The defensive battle saw just five shots on goal between the two teams resulting in two saves by Artesians goalkeeper JJ Olson. Up north, the Hammers had their bell rung by the defending champion Vancouver Victory on Sunday. 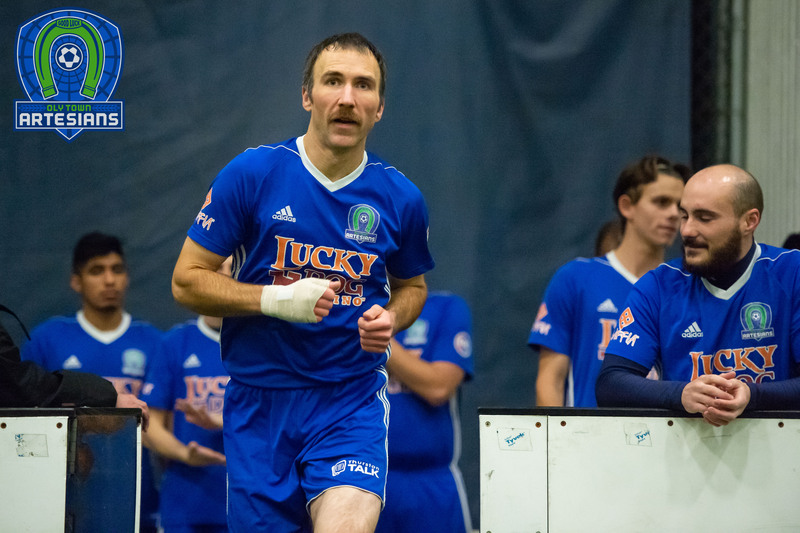 Timur Zhividze scored four goals and Jordan Farr posted a clean sheet for the Victory and both were named EPLWA Players of the Week. Bellingham finished in second place last season with 28 points, posting a 9-4-1 record and recording a league high 34 goals. This is the first time that the two clubs have met outdoors. 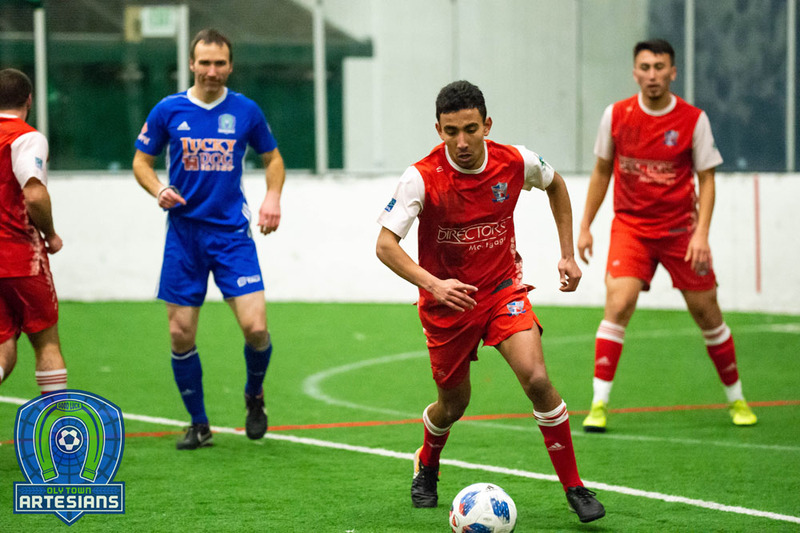 But Bellingham, the defending Western Indoor Soccer League champion, has been a thorn in the Artesians’ side during indoor play, posting six straight wins since Oly Town FC was founded. South Sound Stadium will once again play host to the Artesians this weekend while Wembley Field at The Evergreen State College continues to dry out. The entrance to Sunday’s game is on the North Thurston High School side of the stadium, and fans are asked to park in the NTHS student parking lot off of 6th Avenue. Tickets are available at the door and are just $8 for adults, $5 for kids 5-12 years old, and kids under five are free. Gates open at 1:15.